This is a really easy recipe that I got the basic from Kraftfoods.com. Of course over time I have made it my own. My daughter loves this dish and asks for it often. Cook chicken in a skillet until done. Add one can of corn and let the corn heat up a little. Add water, rice, Catalina and soy sauce. Cook until rice is done and water has cooked off. If you are cooking with a different kind of rice- cook that separately according to the package. Then the only thing to add to the chicken is the corn, Catalina dressing and soy sauce, mix well and cook till corn is warm. 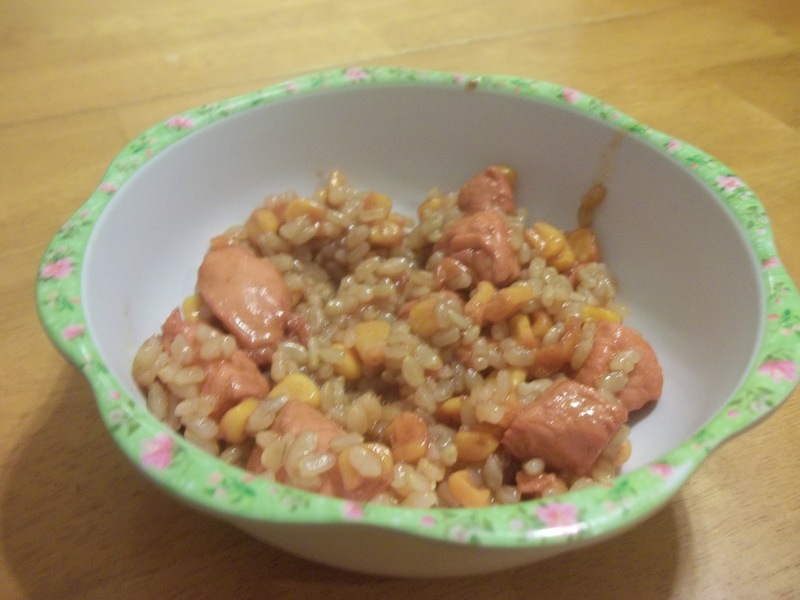 You can then either mix the rice in or serve the chicken and corn mixture over the rice. You can also change up the chicken and use a stir fry cut beef (like a sirloin) instead. For you non gluten free folks- this is really good topped with those chow mein noodles (the crunchy kind). This entry was posted in Chicken, Recipes on December 21, 2011 by Kandi. Nice recipe, I hope that I can cook it perfect. I know that this is delicious that’s why I am planning to cook this recipe. Thanks for sharing it here.